Just regular folks. : Burrito, anxious, 21, ankles. Sunday, Jeremy was still in Philly and I wanted to go for a quick run and asked Vince to watch Edda for an hour. 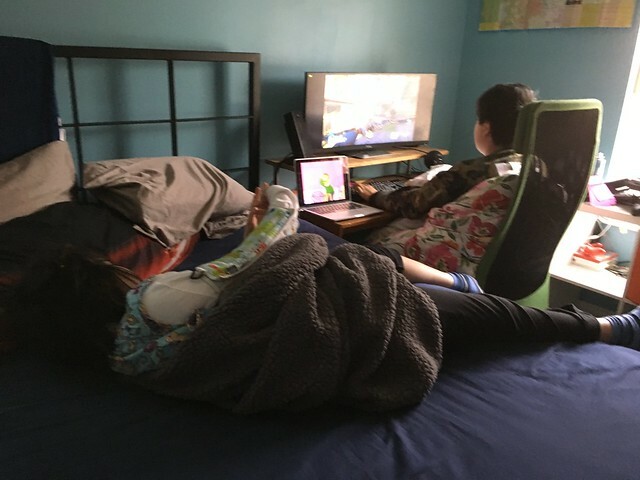 He was totally up for it, but it meant that she ended up being wrapped up in a blanket burrito on his bed while he played computer games. I did end up getting the Childr*n's job on the heart and kidney unit. I was momentarily confused by my online application which said that I was no longer under consideration (NLUC) (which I checked last Friday, but was marked as NLUC immediately the day after my interview the week prior), but then they left a message on Thursday on my voicemail that said I did have the job - but because of the terrible way I've set up my voicemail system on my cell phone (google hangouts on an iPhone), I didn't see the voicemail until Sunday night. I called on Monday to get the formal offer. 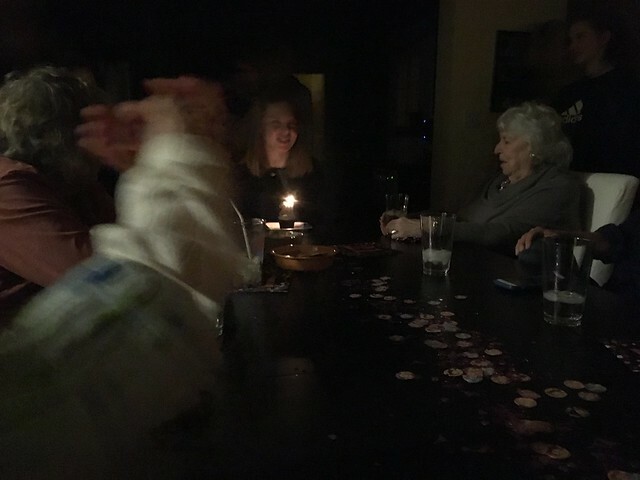 I spent all of Monday psyching myself up to take the offer (because, omg, I would learn/see so so so (let's put one more so) much on a heart & kidney transplant floor at a prestigious childr*n's hospital) & getting more and more anxious about it (for all the reasons I've gone through before, and let's put in one more stressor - parking + shuttling to the hospital) and then I said to myself at about 4pm, you know, you totally don't have to do this and then I felt immediately relieved. So I think I'm not going to take it. Just for reference - the pay is $29 an hour, union. At U of MD it was $28.54 - nonunion. 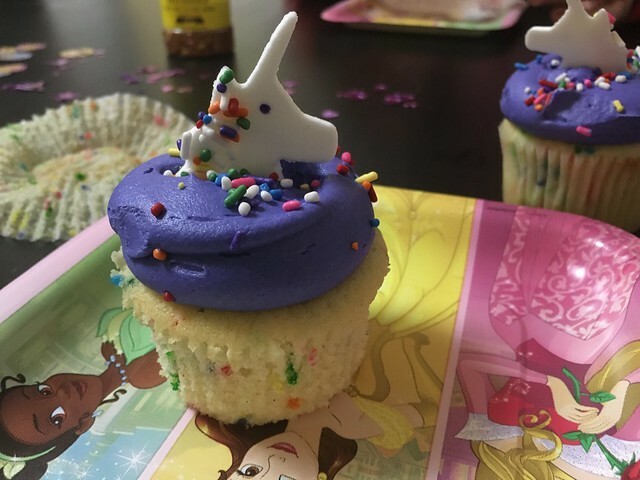 Unicorn cupcakes, the 2nd round of Georgetown cupcakes I've indulged in this past weekend. 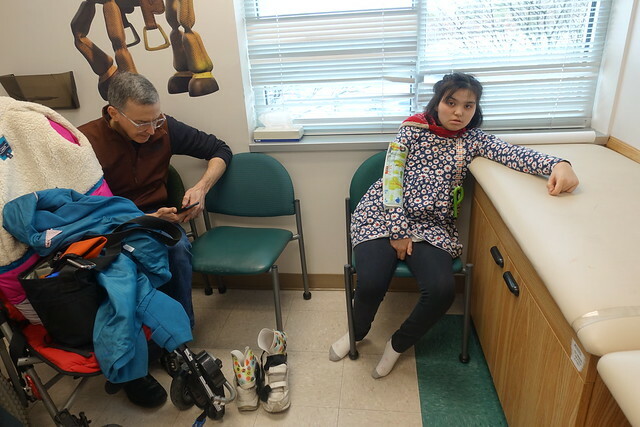 Monday, we took Edda to Children's (the Rockville outpost - super convenient) to see a physical medicine guy to get Edda a new wheelchair and to look at the bracing on her feet. He thinks her Achilles is a bit tight, so he wants a splint to stretch it out at night and then go with a smaller foot brace during the day. He thinks her foot flaring doesn't look too bad. It looks bad to me, so it makes me wonder what really bad feet look like.